In this week’s episode of Mad Genius Tips, F&W’s Justin Chapple reveals how to make Richard Blais’s one-step dulce de leche. Now that you’ve mastered that classic dessert sauce, try one of these. Sticky and deeply flavorful, this sauce is the perfect ice cream topping. 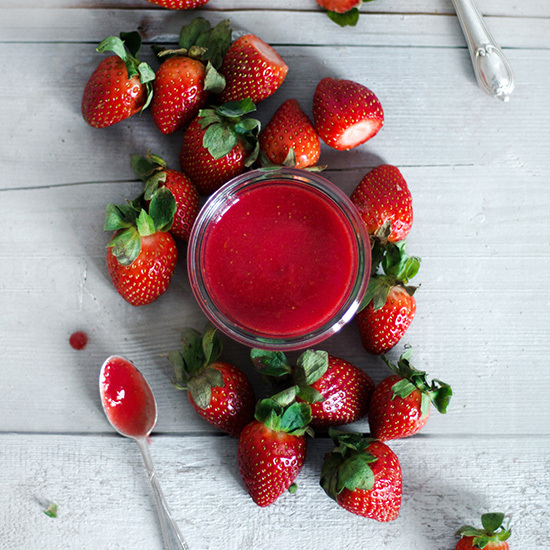 Fresh strawberries, orange zest, white wine and anise come together in this bright sauce. This hot fudge sauce is perfect: Rich and shiny, it gets pleasantly chewy when it hits cold ice cream. This deceptively simple sauce makes any dessert more elegant. Perfect on a fruit tart or ice cream sundae, this salty-sweet sauce keeps for two weeks in the fridge. This four-ingredient sauce is so easy to make. F&W’s Justin Chapple makes his version of Magic Shell (a sauce that quickly hardens when poured over cold things) with coconut oil to give it additional flavor. Take sweet-potato pie over the top with this nutty sauce.